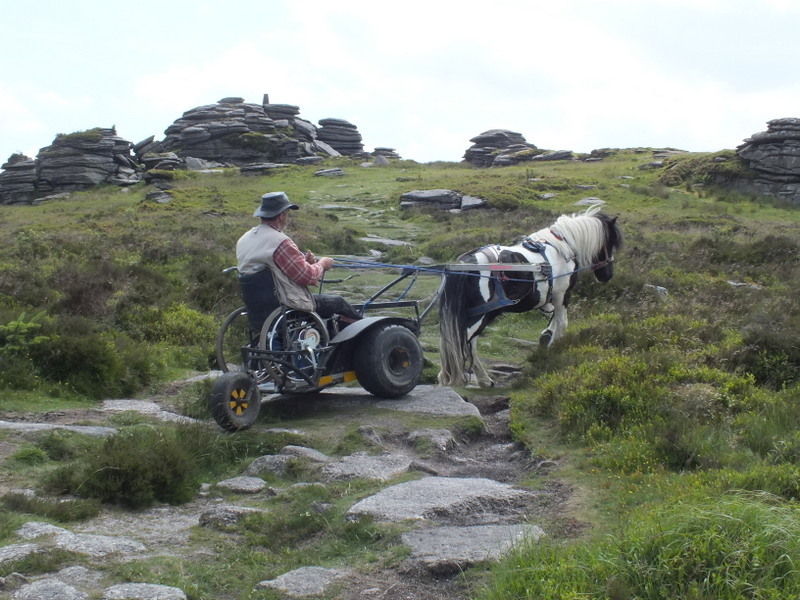 Pony Axe S takes people who use wheelchairs to all the places where wheelchairs can’t take them. No need to transfer to all terrain or beach wheelchairs, no need to leave your wheelchair behind. We take you, in your wheelchair, anywhere. Across beaches, along rough tracks, through mud or long grass. Pony Axe S will cope with anything. Ponies still get traction in deep mud, soft sand, long grass, heather or anything, and they have more power than a rugby scrum. They get you where you want to go, and back. Ground clearance isn’t an issue. Where four wheel drives and tracked vehicles bottom out and get stuck, the iBex switches from wheeled vehicle to sledge and back again. Pony Axe S is about access. This isn’t a horse based activity, Pony Axe S gets you where you want to go. All those places you never thought you would get to, they are all possible. Most importantly, Pony Axe S is safe. 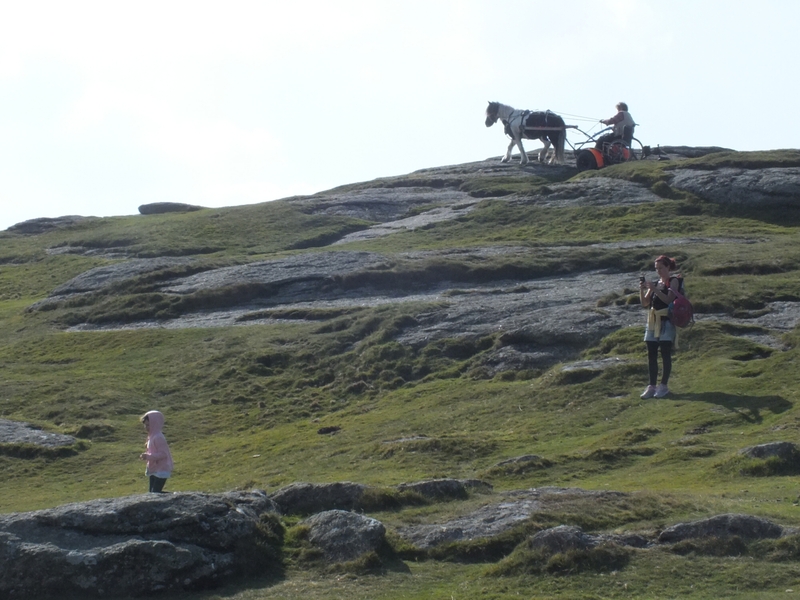 The whole system, vehicle, harness and pony training is 21st Century, following 21st Century Health and Safety principles. Fully insured, with 100% safety record, we work hard to make everything safer still. We are mobile. We take you where you want to go. 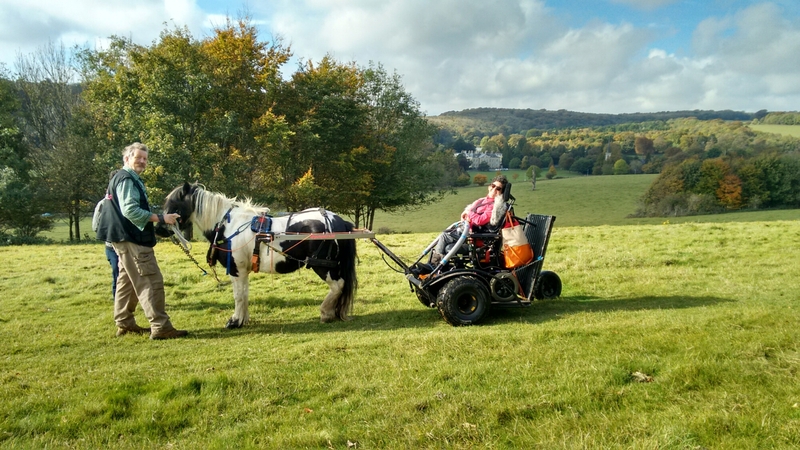 Olympic Park, South Downs Way National Trail, Dartmoor Tors, Cumbrian Fells, Blackpool Beach, we can take you, in your wheelchair, across any of them. 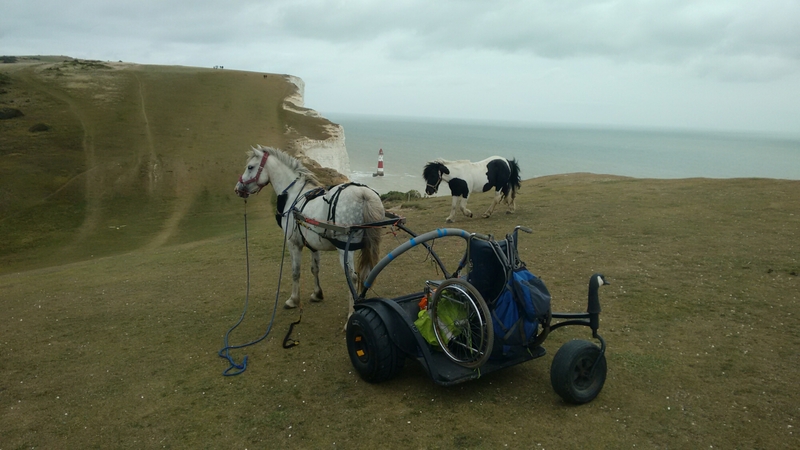 Beachy Head, end of the @SouthDownsWayNT with Toby in the iBex, and Obama, just along for the ride. 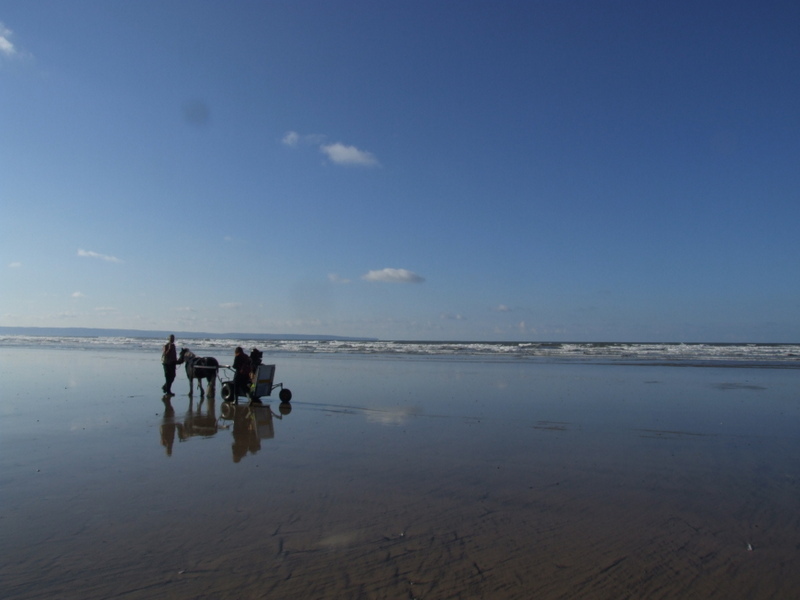 Saunton Sands, Devon, fully #wheelchairaccessible Everyone deserves a chance to get on the beach sometimes.